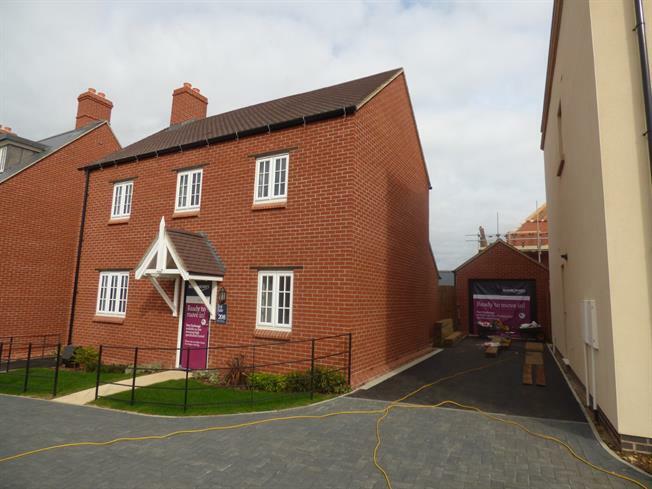 4 Bedroom Detached For Sale in Northamptonshire for Asking Price £465,000. The Ambleside is a four bedroom, detached family home. The property comprises of an entrance hall with convenient downstairs cloakroom. The open plan kitchen/dining/family room, with a part vaulted ceiling, is ideal for modern family living, and features french doors that open out onto the rear garden. There is a spacious lounge and separate study, ideal for those that work from home. There is also a handy utility cupboard. This plot now offers flooring throughout, integrated dishwasher and turf to the rear garden. To the first floor is a stunning galleried landing off of which are four bedrooms. The master bedroom benefits from fitted wardrobes and en suite facilities. You will also find a further modern family bathroom and an additional storage cupboard situated on the landing.